First things first. RUN to BananaRepublic.com today – either in-store or online, cuz they have another 40% off promo code going on that’s too good to pass up! Coupon code BR40SALE is good for 40% off all women’s sale items through October 12th. And by the way, if you have to have something that’s not on sale, BRCOZY is also good for 40% off on Fall Essentials so it’s worth tossing that code into your cart too and seeing what it works on. So I was recently in-store and tried a few on. 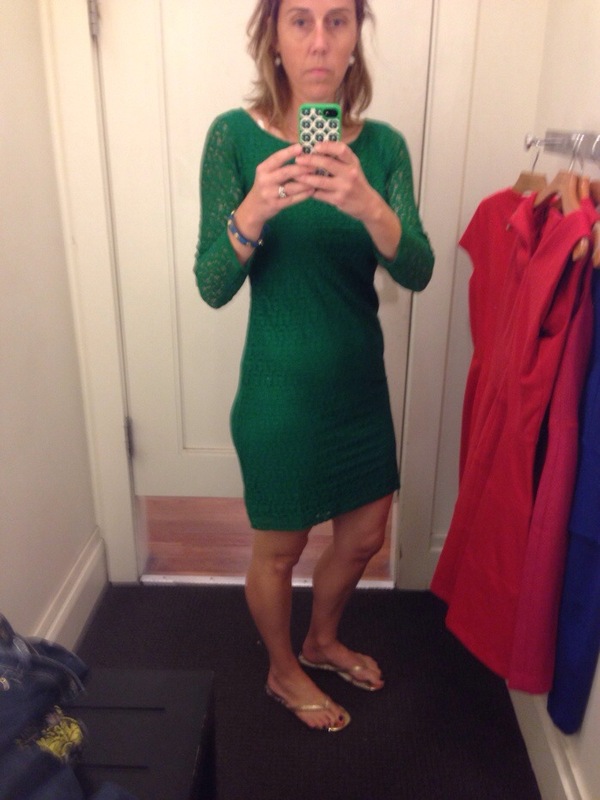 I ended up getting this one but I think I may return it now because I took it home and am not loving it now – it’s a super cute dress for the holidays, the Lace Sheath ($130) but I think it may be better on someone who doesn’t have big hips like I do. Better for a straight figure, you know? 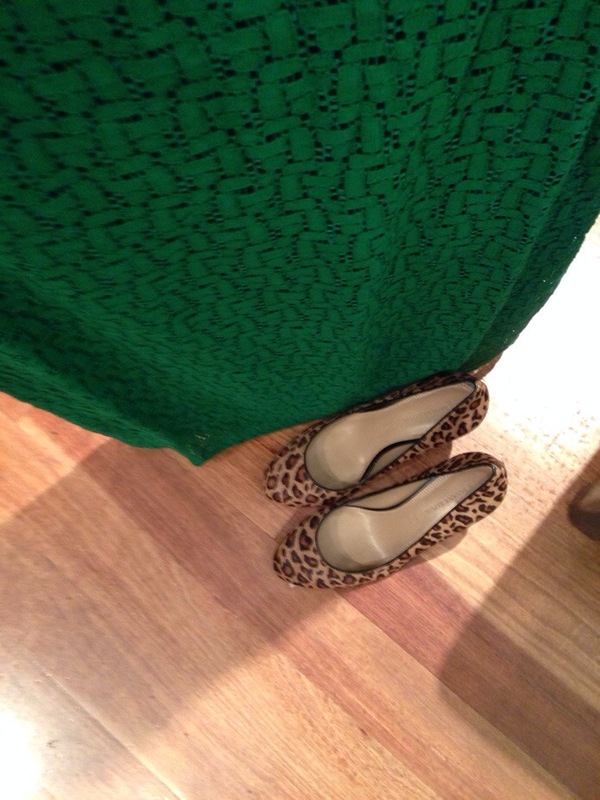 If I didn’t have a hip issue, I was going to pair if with these Ivonne Pump Heels ($90), I think the green looks super with the animal print, right? 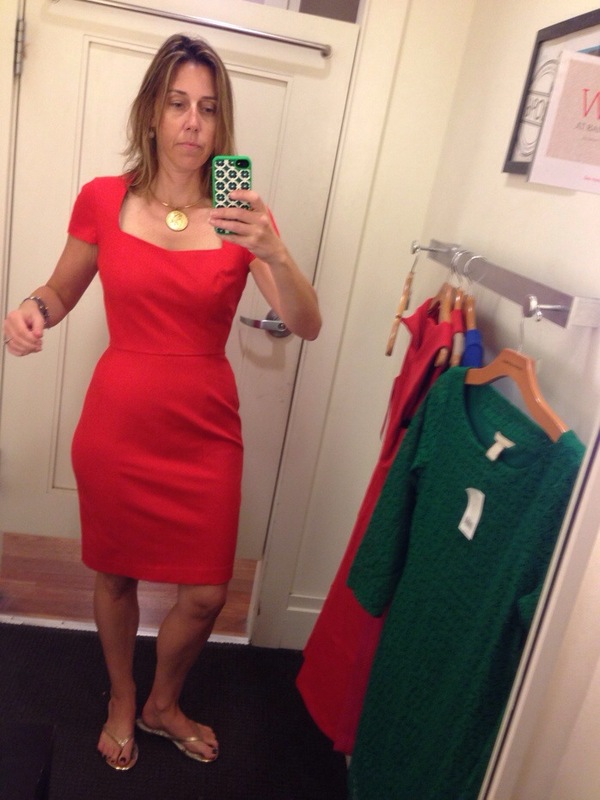 This is the Sloan Sheath for $140, such a great everything dress in my opinion. 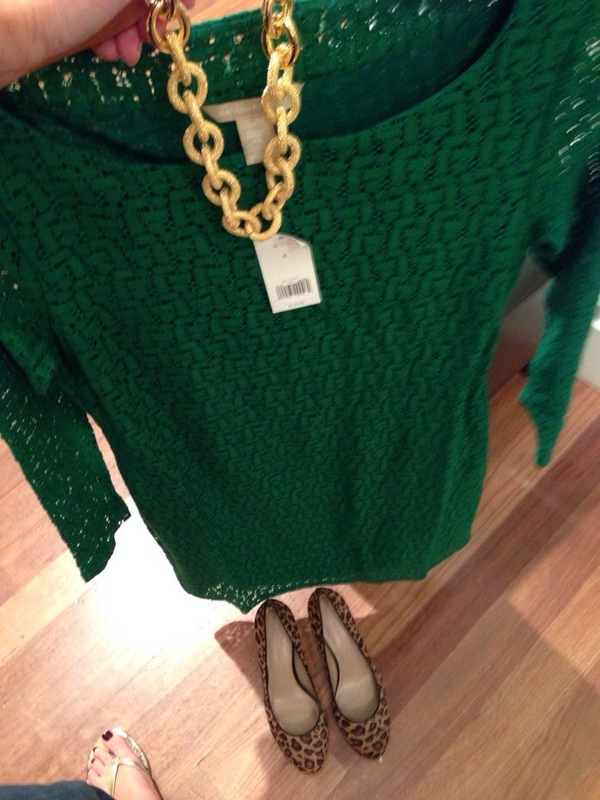 Good for work with a blazer or scarf and good for an evening event jazzed up with some fun accessories!